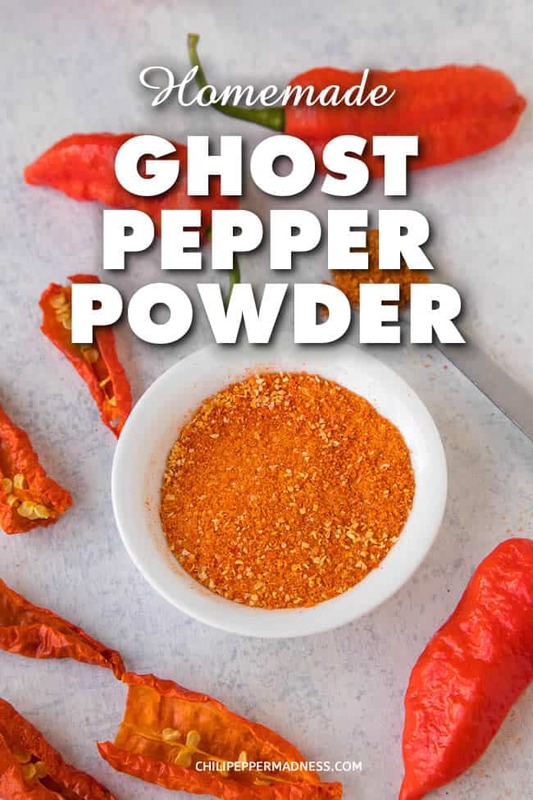 Make your own spicy, homemade ghost pepper powder in your own kitchen with this recipe. All you need are ghost peppers and a dehydrator. Use it to spice up anything or make your own seasoning blends. I’m breaking out the dehydrator again because my garden is EXPLODING with chili peppers of all types, per usual this time of year, particular ghost peppers. I love ghost peppers because they have an excellent heat level and they’re also quite fruity and flavorful. A little goes a long way, of course, which is why I wind up dehydrating them. The plants are SO productive, it’s hard to use them all up. 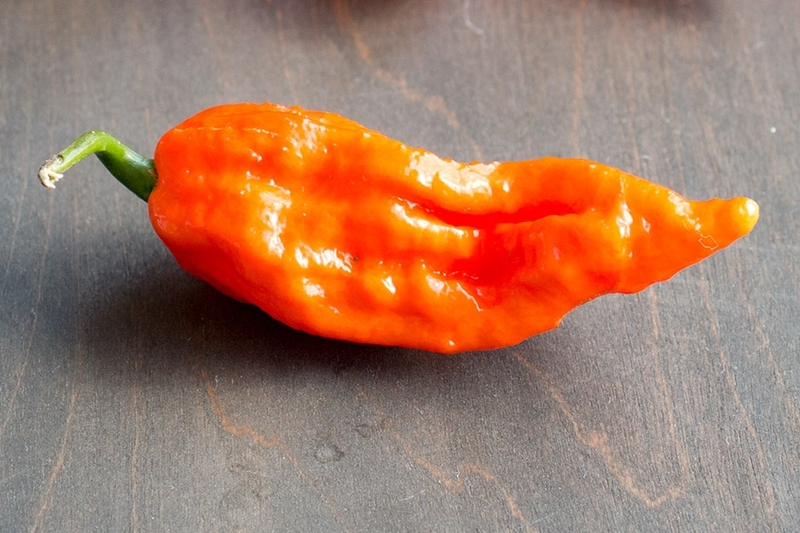 Learn more about the ghost pepper. 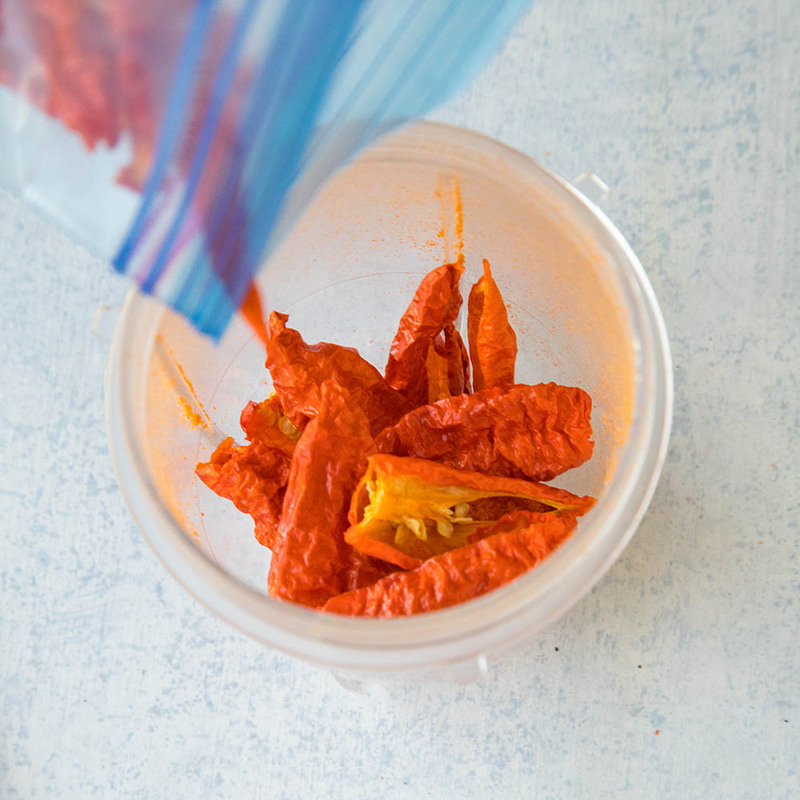 I do freeze some – see how to freeze chili peppers to preserve them – but drying them for powders is probably my favorite way of using them, outside of making ghost pepper hot sauce. Oh, and this ghost pepper chili sauce recipe. Or how about this pineapple-mango-ghost pepper hot sauce. Dang! So many ghost pepper hot sauces! Haha! I can’t help myself. I do LOVE my ghost peppers. 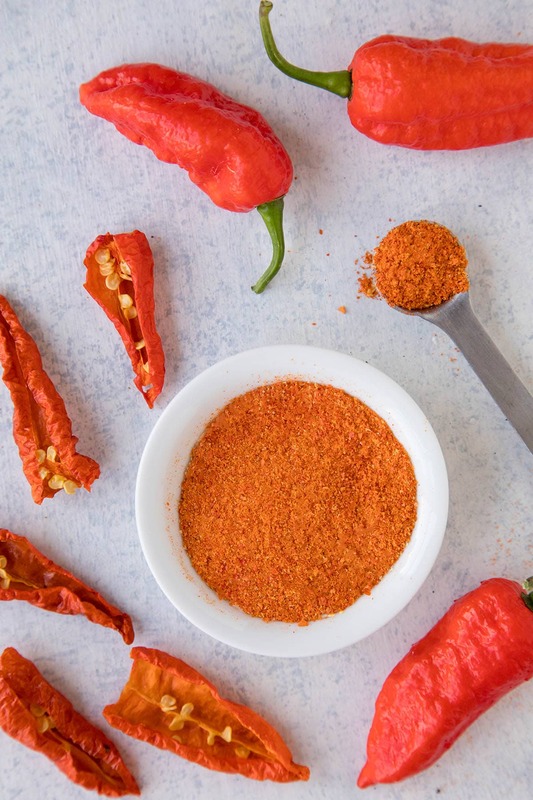 Many people wind up purchasing ghost pepper powders online, and that’s great, but it can wind up being pretty pricey. If you’re growing your own ghost peppers in your own garden, you’ll save quite a lot. 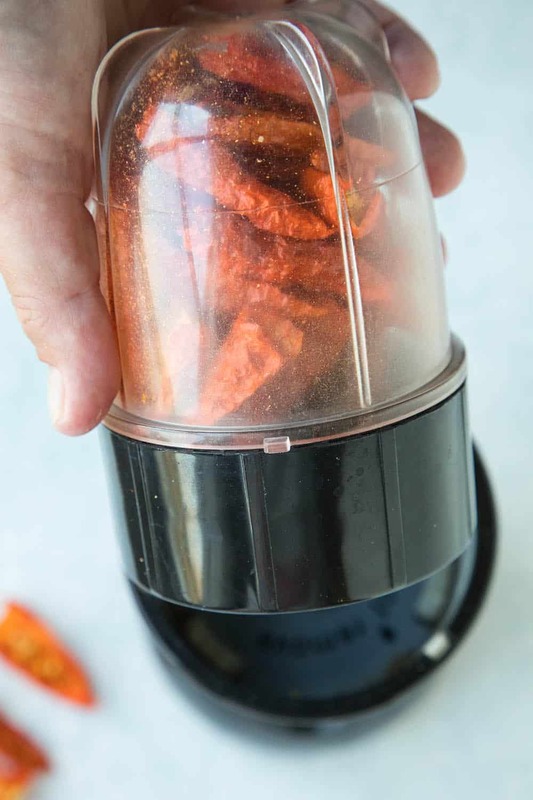 All you really need to make your own homemade ghost pepper powder is a dehydrator and some ghost peppers, of course. First, gather up your ghost peppers, then wash and dry them. Select only the freshest peppers and none that show any signs of rot. Remove the stems and slice them open lengthwise. I recommend wearing gloves when handling ghost peppers. 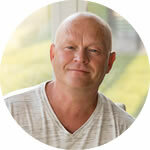 The oils can get onto your skin and cause a burning sensation. If this happens, see – How to Stop the Chili Pepper Burn on Your Skin. Next, set the ghost peppers onto dehydrator trays. You can de-seed them if you’d like. I usually do not, as most of the seeds wind up falling out anyway after they are dried. Some people find the seeds bitter, which can be amplified when grinding, so scoop them out if you’d like, either before or after drying. See the notes below on this. Dehydrate the ghost peppers at 135 degrees F for at least 5 hours, or until they are completely dried through. It could take up to 8 hours or longer. Just follow the recommendations of your dehydrator. You can speed up the drying process by chopping them into smaller pieces before dehydrating. When dried, they should be crisp and crack when handling, and should not give any bend. 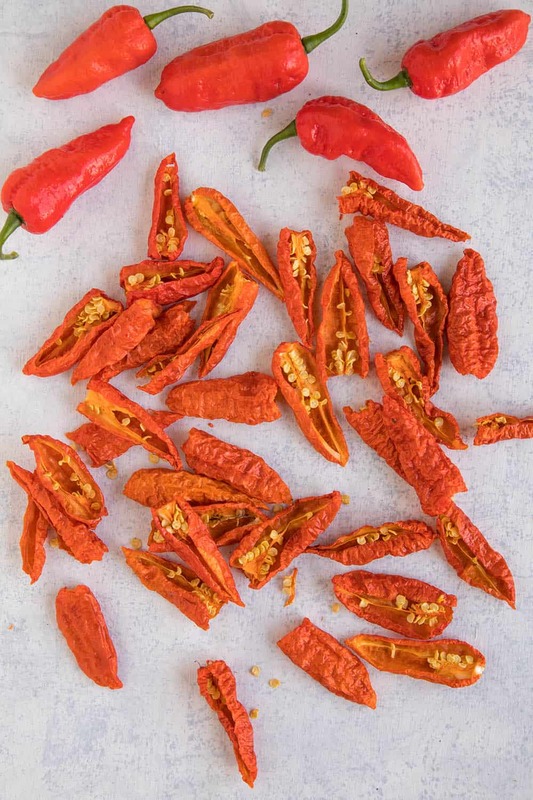 Once the ghost peppers are completely dried, grind them down in a mortar with a pestle, or add them to a spice grinder and grind them to either a powder or a coarse grain. I use this: Magic Bullet MBR-1701 17-Piece Express Mixing Set (affiliate link). Give them a good grind for a minute or so. The ghost peppers will break down into a find powder. Sift that powder out and process any remaining chunks until only powder remains. You may have a tiny bit left to discard, but most of it will easily turn into powder. Store your freshly made ghost pepper powder in airtight spice containers. Use it as you would use any spice. Some people find the seeds rather bitter in chili peppers. When you crush them, you may release that bitterness into the final powder. I have made powder both ways, both with and without the seeds and enjoy them both. However, if you note a bitterness in the seeds, remove them before grinding. Some people do not enjoy the bitterness. I became obsessed with dehydrating when I started gardening. My garden was exploding with chili peppers and tomatoes, and I wanted some good ways to preserve them. 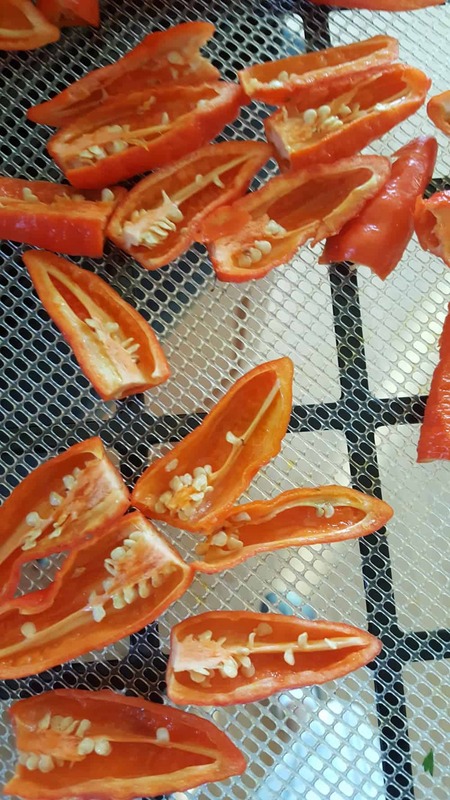 As you can see from my Preserving Chili Peppers pages, I found MANY ways to preserve them, but dehydrating is definitely one of my favorites. 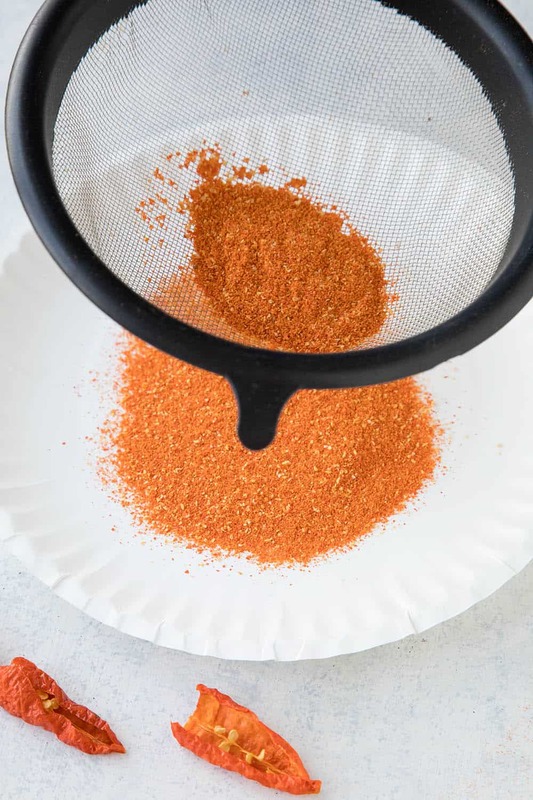 I’ve used my dehydrator to make all sorts of interesting seasoning blends from peppers and other ingredients I grew in my own garden, but one of the most interesting things I’ve begun to do is to make spicy homemade seasoning blends from discarded items. I recently posted an article on How to Make Seasonings from Hot Sauce Pulp, and got a good reaction from it. 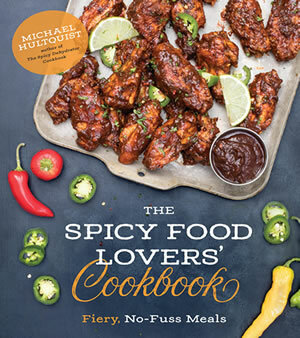 Basically, if you strain the solids out of a homemade hot sauce recipe of yours to thin out the hot sauce, you might normally throw that pulp away. However, that pulp still have a lot of life and flavor left to it. Dehydrate it and turn it into a wonderful seasoning blend. I like to place my dehydrator in the garage because it will release fumes over time and you will notice the odor. Let the dehydrator sit anywhere from 5 hours to overnight. It will very likely take longer than 5 hours, but much depends on the thickness of the pepper walls and how many peppers you’re working with. 1 pound (16 ounces) of fresh chili peppers typically will yield about 4 ounces of dried chili pepper pods, a 4 to 1 ratio. For this recipe, I used 20 fresh ghost peppers weighing a total 4 ounces/1.15 grams. After drying and grinding, my yield was .75 ounces, or 3 tablespoons, of finished ghost pepper powder, a but under the 4 to 1 ratio of fresh to dried, likely because of the thin walls. The Spicy Dehydrator Cookbook – My cookbook. Check it out! 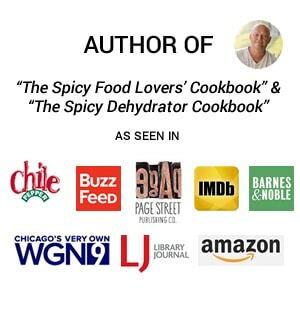 I hope you’ll check out my cookbook! 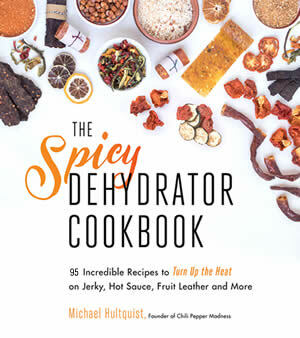 Here is the link: The Spicy Dehydrator Cookbook, by Michael Hultquist. Clean and dry the ghost peppers. Wearing gloves, remove the stems and slice in half lengthwise. 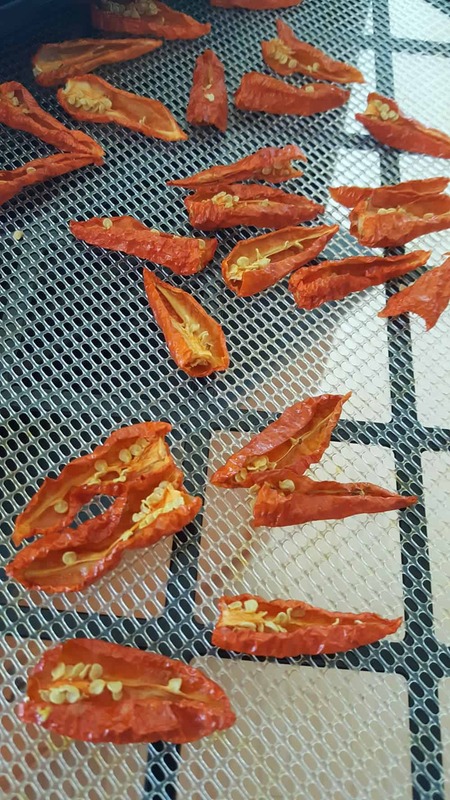 Set the sliced ghost peppers onto dehydrator sheets and dehydrate at 135 degrees F (or at your dehydrator's recommended temperature) for 8 hours, or until they are completely dried through. 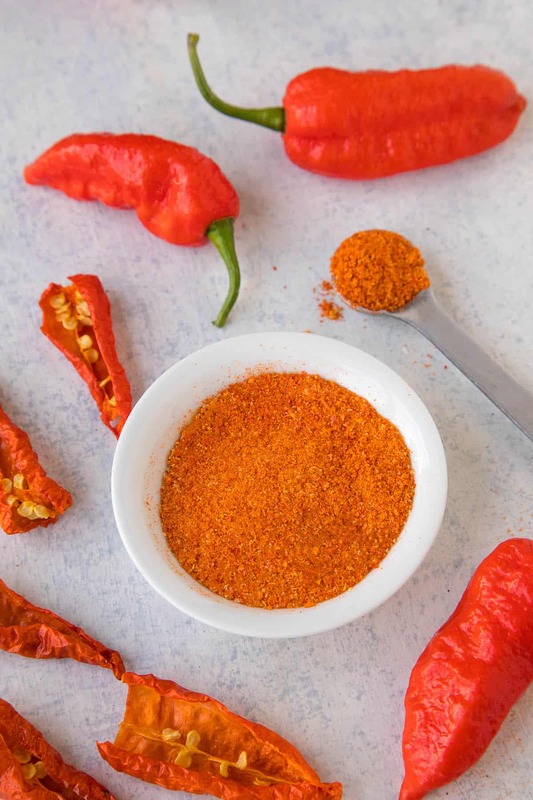 Crush the dried ghost peppers in a mortar and pestle, or add them to a spice grinder and grind them to a powder. Sift the powder and process the remaining chunks until only a fine powder remains. Heat Factor: HOT. These are ghost peppers, my friends! They measure in at over 1 Million Scoville Heat Units. That's quite hot! These are the original superhots.